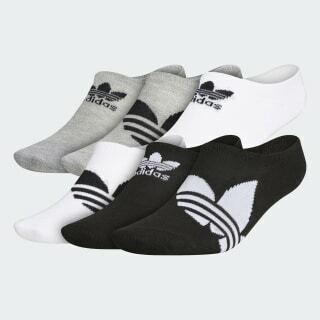 Socks with a Trefoil on top. Low-profile adidas style. These no-show socks work behind the scenes. They're designed to stay hidden while giving enough coverage to prevent slipping. They're made for comfort with stretchy sweat-wicking fabric.